If you have narrowed your answer down to a) a passenger jet or b) a type of retirement plan, congratulations! A 457(b) is a retirement plan offered by a state or local government entity, or a non-profit organization. These plans are much less common than the familiar 401(k), but there are plenty of similarities. And some big differences too. There are even differences between a 457(b) offered by a government entity and one offered by a non-profit organization. To distinguish between the two, the latter is called a tax-exempt (or nongovernmental) plan, while the former is known as a governmental plan. Governmental plans may include state or municipal workers such as civil servants, police officers and firefighters. Eligibility for a 457(b) nongovernmental plan differs from that of a governmental plan. Not all employees are allowed to join a nongovernmental 457(b) – only highly-compensated executives, managers, and other key employees are eligible. The plan document defines these eligibility requirements. Limiting participation to key executives is certainly a departure from ERISA rules which are designed to ensure that participation is widespread. But neither nongovernmental nor governmental plans are subject to ERISA rules. In fact, the nongovernmental 457(b) is required to limit eligibility to key employees or become subject to ERISA regulation. There is no discrimination testing and no Form 5500 filing required for either type of 457(b) retirement plan. Like our old friend the 401(k), the 457(b) allows employees to defer a portion of their salary toward a retirement nest egg. The contributions reduce taxable income, and can be invested in mutual funds where the returns are allowed to accumulate tax-free. When distributions are taken, they are taxed at ordinary income rates. So far, very familiar. Before diving into some of the differences between the 457(b) and the 401(k), it’s important to know that a 457(b) is often used in conjunction with a 401(k) rather than instead of a 401(k). That’s because the 457(b)’s contribution limits don’t count against those imposed on the traditional 401(k) (or 403(b) for that matter). So employees can max out their 401(k)s and still contribute to the 457(b). We’ll have more to say on contributions and limits below. The 401(k) allows contributions from both the participant and the employer. The maximum 401(k) employee contribution for 2018 is $18,500, with a combined contribution limit of $55,000. Employees can also contribute up to $18,500 in a 457(b), and employers can make contributions to the 457(b) as well. But regardless of the amount of employer contributions, the combined maximum contribution under 457(b) plans is $18,500. 401(k) employee contribution limits are higher for employees 50 and older. Thanks to the catch-up provision, these employees can put away an additional $6,000 in 2018, bringing to the total combined contribution limit to $61,000. A government-sponsored 457(b) also allows for a $6,000 catch up contribution, but the nongovernmental version of the 457(b) does not. But that’s not the end of the story for employees approaching retirement with a 457(b). Both the government and nongovernmental versions allow employees to contribute double the normal employee contribution limit in the final three years before reaching “normal retirement age.” So 457(b) participants near retirement can defer 2 x $18,500, or $37,000 this year. In governmental plans where there is a traditional catch-up provision, employees are not allowed to catch-up both ways. 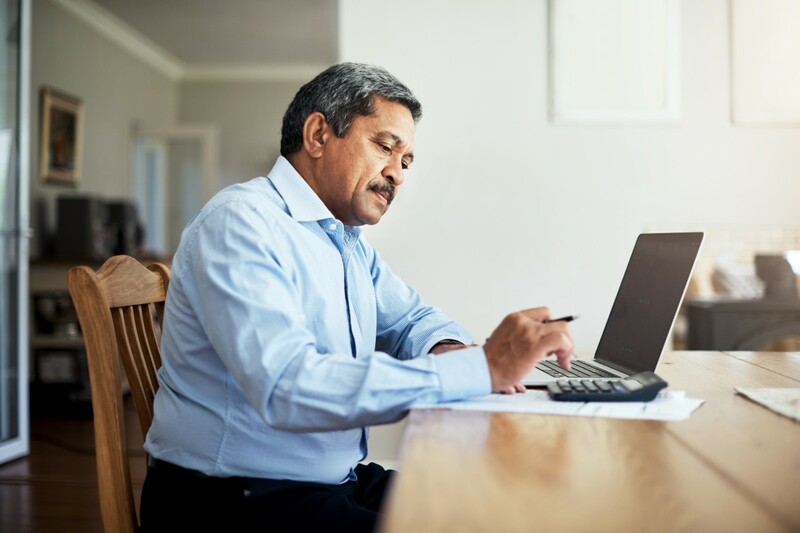 When a worker with a 401(k) plan changes jobs or retires it is common to move the assets from the former employer to a financial institution, all the while maintaining the tax-deferred status of the assets. This is called the “rollover” option. The option is also available for employees enrolled in a governmental 457(b). But rollovers are not allowed in nongovernmental plans. That means when an employee changes jobs or retires, that employee must leave the assets in the plan, transfer them to another nongovernmental plan, or take distributions. Taking distributions results in a taxable event. Employees in either type of 457(b) are allowed to withdraw funds when they retire, even when younger than 59½ years old. There is no 10% penalty for such a withdrawal as there is with a 401(k). This is the case even if an employee is leaving the plan due to a job change. However, income tax is owed on amounts withdrawn. The lack of a 10% penalty in these situations can increase flexibility for some employees. But employees in a nongovernmental plan with no rollover option have some important decisions to make regarding how to structure their taxable distributions. Different plans may offer different distribution options. 401(k) participants can withdraw a portion of their assets before retirement under the hardship provisions described in their plan. The IRS allows 401(k) hardship withdrawals for immediate and heavy financial needs. Medical expenses, college tuition and even a home purchase could potentially quality. However, hardship withdrawals come with a 10% penalty and are taxed as a distribution. The criteria for hardship withdrawals under either type of 457(b) are far more restrictive, and require that the funds be used for an unforeseen emergency. That means no withdrawals for tuition or new homes. 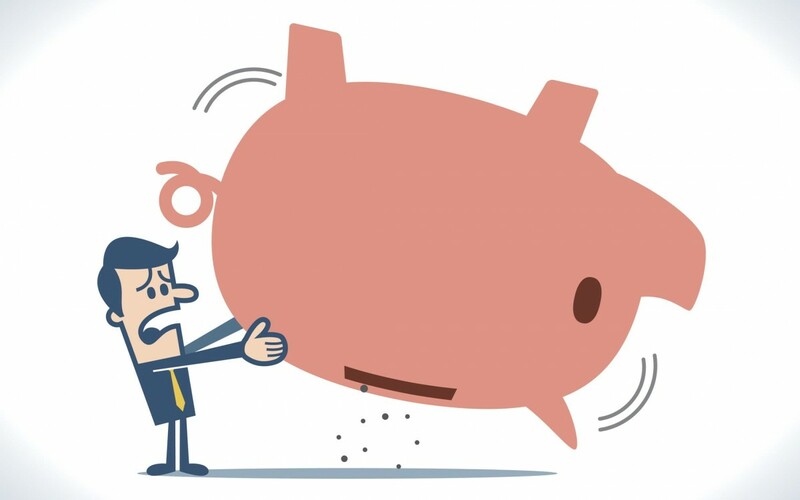 Of course borrowing against the account balance can be a much better option for employees in a financial jam. Loans are allowed in 401(k) and 457(b) governmental plans, but are prohibited in a 457(b) nongovernmental plan. A nongovernmental 457(b) can look and feel a lot like a 401(k) for those key employees enrolled. Contributions are deducted from salary and invested in the funds the employee selects. But there is a critical difference. Those nongovernmental plan assets are not held in trust for employees. That means they remain the property of the employer, and that means they are available to creditors in the event of lawsuit or bankruptcy. This effectively means that even employee contributions are subject to the business risks associated with the employer. A 457(b) plan is generally easier to administer than a 401(k), but attention to detail and solid compliance is required to keep the plan running. For example, the 457(b) must be operated in accordance with the plan document, eligibility requirements must be clearly defined and followed, contribution limits must not be exceeded, and there must be an accurate procedure for submitting records to any third party providers. Hardship withdrawal requests must be processed, someone must determine if anyone must receive required minimum distributions, and new regulations must be observed. 457(b) distribution rules can be particularly confusing and these rules should be clearly communicated to all participants. 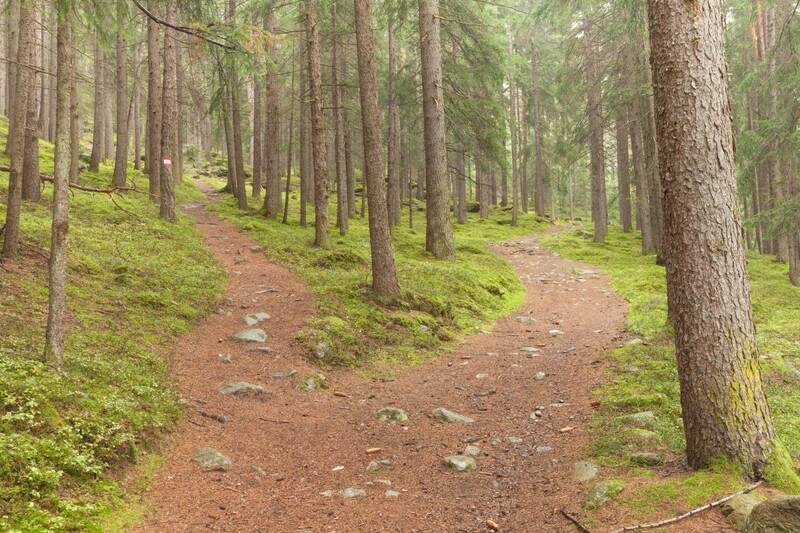 If its “either-or” we think the 401(k) is usually the better choice. The combined contribution limit is much higher, particularly for employees still years from retirement. Also, the inability to rollover assets into another tax-deferred account can pose a problem for some nongovernmental employees. One key administrative advantage of the 457(b) is that there is no Form 5500 to file and non-discrimination testing is required. When offering a 457(b) it’s important to evaluate the fund lineup to determine if the investment options are satisfactory and provided at a reasonable cost. Smaller employers may also find they are paying more than expected to offer a 457(b) retirement option. But again, a head-to-head comparison of the457(b) vs. 401(k) is not usually necessary, as the more common approach would be to offer the 457(b) as a supplement to the 401(k). The 457(f) is another type of nongovernmental plan. Like the 457(b), only key employees are eligible to participate. With a 457(f), there is no limit on the amount the employer and employee can contribute each year. And like the 457(b), all of these deferred assets are subject to the claims of general creditors. In a 457(f) each employee must meet certain service requirements before gaining access to the account. 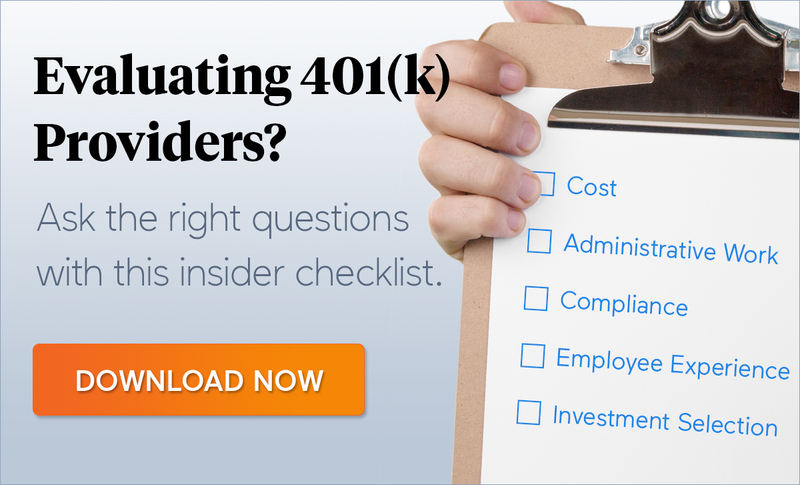 This is similar to cliff vesting in a traditional 401(k) – but with important differences: Even employee contributions are not vested until the employer meets all the service requirements. And when those conditions are met, the entire account balance becomes immediately taxable, whether the employee begins taking distributions or not. As a result, a lot of thought must go into how 457(f) vesting requirements are structured. At ForUsAll we specialize in low cost 401(k) and 403(b) plans for small and medium-sized employers. We can craft a low-cost retirement plan by finding you the right fund line-up and recordkeeper for your plan, and reduce your administrative work and legal liability. We believe plan sponsors should not have to shoulder the burden of heavy plan administration work and the risk of compliance errors in order to offer a 401(k) plan. Our software continuously runs 44 separate compliance checks each payroll cycle to fix and correct issues as they arise. Talk to us today to schedule a free, comprehensive plan assessment, or check with us to see how ForUsAll can help you set up a brand new plan.